The highlights probably are sufficient. 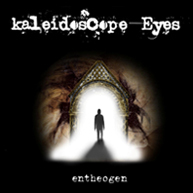 The jail sentence effectively ended Kaleidoscope Eyes as a cohesive unit. The band’s other guitarist quit soon after. Singer and chief songwriter Graeme Rankin has the voice of an angel. It would be one of life’s many travesties if the Entheogen ep was the last we heard from this gifted artist. Highlights were The Sun feature, Sunday Mail review, radio play on West FM, an Evening Times feature and support slots with Twisted Wheel. Low was guitarist Nick copping a 2 year jail sentence the week after the ep came out. The band had helpfully neglected to mention the impending court date. But that explained their determination to release the ep in March. Also included a radio advertising campaign on Clyde.